Replacement headgear for the Quattro FX Full Face CPAP mask. Does not include headgear clips. Headgear clips are NOT included with headgear. All Quattro FX Masks come stadard with the size Medium/Standard headgear, but you can interchange the small and large sizes for a more custom fit. 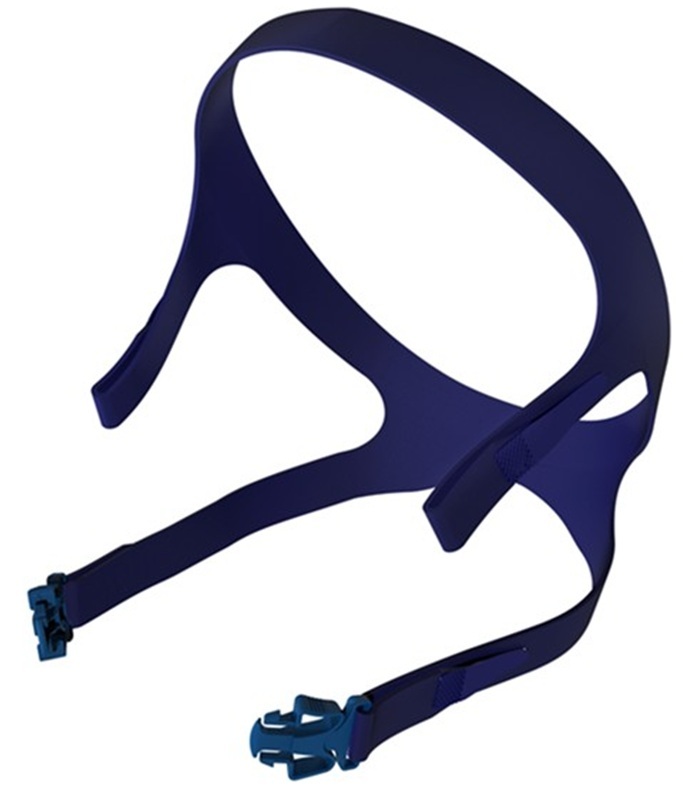 Headgear: Nylon / Spandex; Open cell Polyurethane; Polycaprolactam (Polyamide Family); Rayon acetate satin. This product does not contain latex, PVC ro DEHP materials. Stretches out of shape, velcro stops holding. Irritates my scalp from time to time. Too expensive for what it is. The issue that I have is that the hook portion is not long enough. Over time, as the straps stretch, the hook portion rides over the loop section and there is not enough hooks left to supply a decent adjustment. The velcro lasts about two months before it starts to slip IF you don't take the headgear off, or adjust the tightness. Once the velcro starts to fail, it's done. Comfort wise, it is fine. The clips also hole well. I have no reference as to if other headgear works better.